The list of effective content types is long and getting longer. 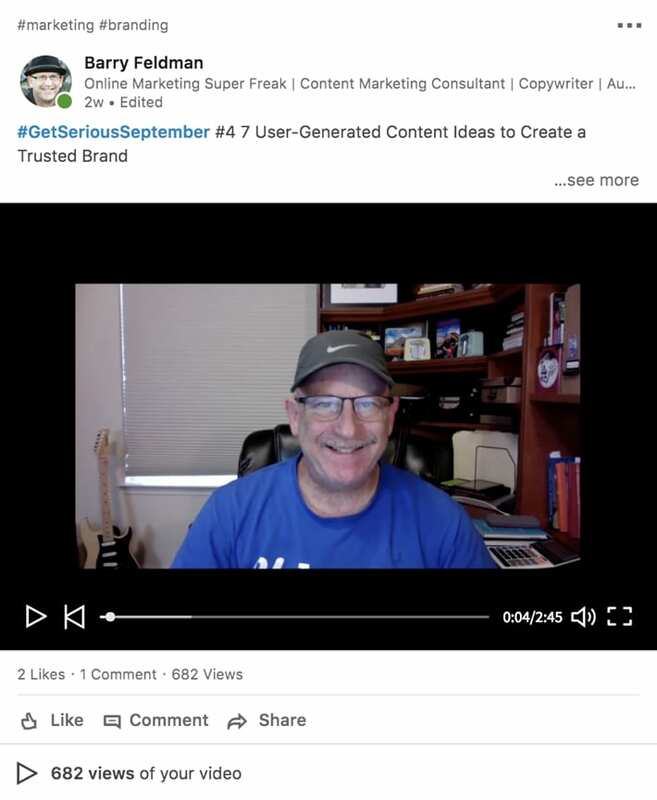 And no doubt, this self-described “online marketing super freak” could create long lists of best practices to master each one. Each has their own nuances. But for this post, I had other plans. My intention was to create a short list of effective content types—I settled on 15—and deliver a short 5-pack of best practices for each. Read ‘em all. Ponder the ones that interest you most. Or skim away. My hope is you’ll pick up at least a few cool, new ideas. A business blog is a practical starting point for most content marketing programs. It acts as its cornerstone, and becomes the hub for written blog posts and a variety of other content types. Focus first and foremost on gathering the questions your prospects and customers ask, and compose posts with detailed answers. Conduct keyword research to identify phrases you can rank for in search and use them in your headlines and copy. Write curiosity inducing headlines that will inspire readers to click-through from the various places you’ll promote your posts. Keep your blog interesting by publishing a mix of list posts, resources, roundups, interviews, reviews, stories and curated content. Get blog ideas by tapping into keyword research tools, social media, competitive analysis, your analytics and your audience. 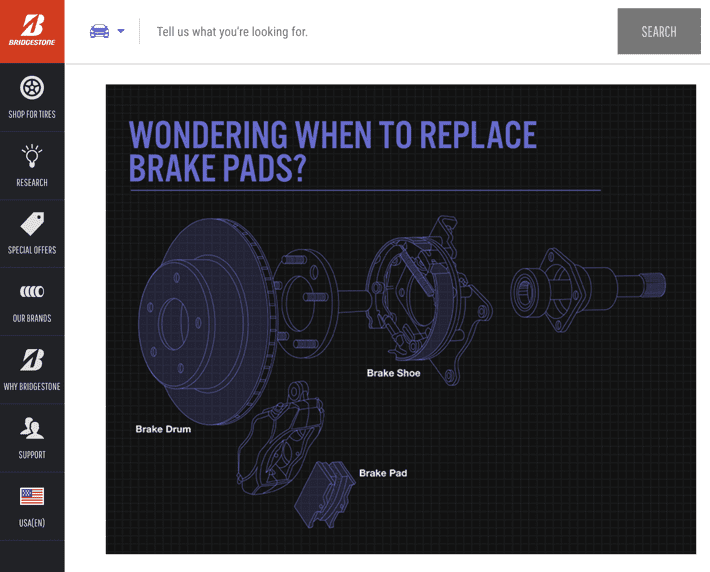 “When should I replace my brake pads?” is obviously a question Bridgestone expects customers to ask and so they created this blog post as a response. eBooks take many forms and provide an attractive lead magnet for building email lists. A well researched, written and presented eBook will help establish authority, foster loyalty, and support the sales teams’ outreach efforts. For your first eBook, identify the most common question or questions you can answer and aim to pack it full of objective advice. Create an eBook that delves deep into the subject matter with the intention of making it the ultimate guide for the category. Carefully plan and outline the chapters of your eBook so they can be reused as blog posts, an email series, and other content types. Make the layout and design easy on the eyes with compelling images and ample white space. 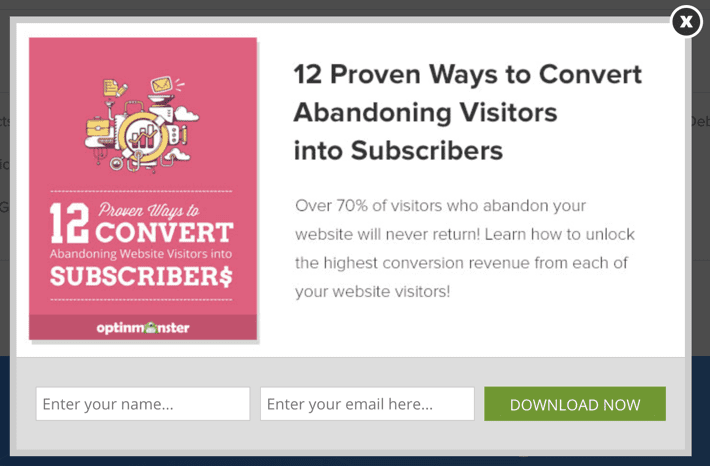 This OptinMonster eBook, featuring a list of ways to convert abandoning website visitors to subscribers, is offered via an exit-intent popup and perfectly aligns with one of their areas of expertise. Infographics have proven a great format for delivering complex, data-rich material and even storytelling. Great infographics tend to earn a lot of social media shares and are often republished. Treat your infographic like a story featuring an introduction, main storyline, and conclusion. Keep your diagrams and charts simple so your point comes across quickly and clearly. Consider the size of everything so the details will not get lost when viewed on a small screen. Ensure the top of your infographic is uncluttered and focused on the title as this is likely to become the visual used to promote it. Cite your sources for research and data points throughout your infographic or at the bottom to increase its credibility. 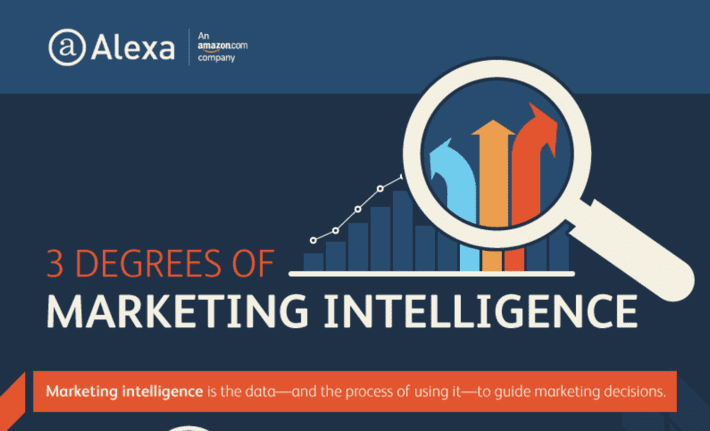 I helped create this infographic for Alexa, which dives deep into the subject of marketing intelligence and features many research findings. Pictured here is the header of the graphic to help illustrate the point I make above. Video, in its many forms and styles, has proven to increase engagement in every way. Thanks to the near ubiquitous reach of the smartphone, it’s easier to create, distribute and consume video. Consider your budget and select the style accordingly. Every video does not need to be perfect. Work from a script or detailed outline, but don’t be afraid to veer from it. Tell a story. Be provocative. Make absolutely sure to record good quality audio. Your audience will tolerate visual blemishes but stop watching if the audio’s messy. Don’t sweat the small stuff. If you’re on camera, allow authenticity to come through. 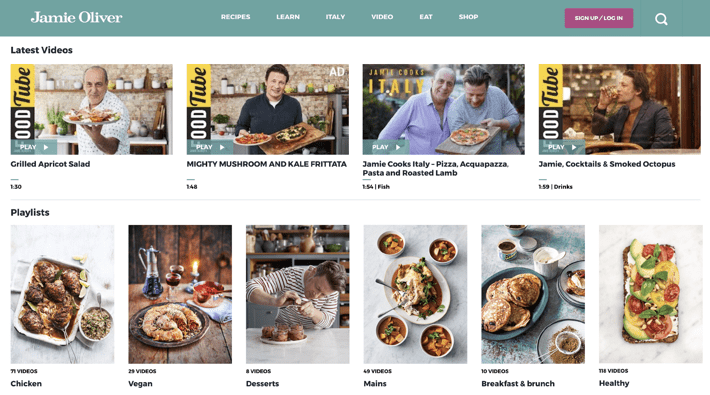 Cookbook author Jamie Oliver offers an immense collection of instruction videos via his website and YouTube channel. Podcasts are the ultimate content format for the multi-tasking consumer. They’re easy to create and present the potential to forge a trusted bond with listeners. Make plans to host a radio-like program where listeners can expect to always (or usually) hear a single format: single narrator, interview, conversation, panel, call-in, etc. Go into each episode with a plan, though it may be loose and flexible. For interview programs (the most popular format), do your homework in advance so your questions are on-point and your guest can provide insightful answers. Consider the length of your podcast. An hour or more is generally too long. Distribute your podcast via iTunes and popular podcast networks, but also, showcase them on your website or blog. Create and publish transcripts or show notes as well. The Content Jam (formerly Content Matters) podcast comes from yours truly and Orbit Media’s Andy Crestodina. We rely on a two-person conversation format, where we focus on a specific content marketing topic in each episode. The program is offered via iTunes, most popular podcast apps and sites, and on via our blogs. Marketers consistently rate webinars as one of their most effective content marketing tactics. They can be created to satisfy the information needs of prospects and customers at every stage in the buyer journey. Get going quickly. Most webinars begin with 10 minutes of nonsense. Webinars tend to be long, boring and salesy. Make yours fast-paced, informative, and entertaining. Create simple and, if possible, beautiful slides to keep the audience’s eyes on your content. Do not read your slides to the audience. 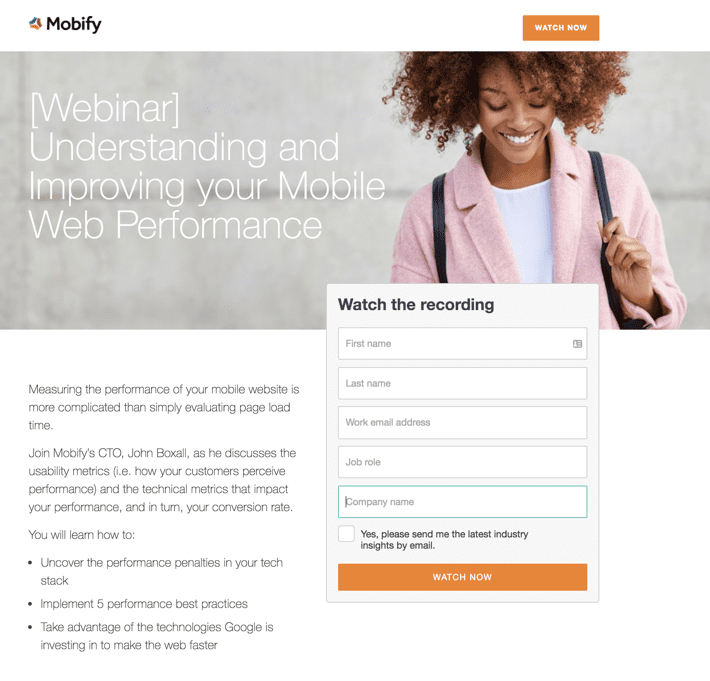 Your audience may tune-out if your webinar is a one-way monologue. Look for opportunities to feature guests and create interaction with the audience. When possible, record, archive and promote your webinar after. A large percentage of registrants don’t show up to the live cast—or stay tuned-in. A well-planned and promoted webinar can draw a crowd, capture leads, and provide a great forum for delivering any type of useful advice. Note the ‘Watch Now” button on the page above. This company archives webinar and promotes them after-the-fact. Email marketing takes an enormous number of forms, however, an email newsletter is a staple of most content marketers. Newsletters give marketers the ability to distribute content, news and updates to nurture leads and serve existing customers. Create email newsletters if and when you have timely, useful, or relevant news and information to share. Don’t risk diminishing your audience in the interest of frequency. Your subject line is everything. Make it brief and compelling. Testing variations of your subject line will help increase open rates. Think of your newsletter as a publication. In some instances, you can use it to offer products and promotions but do so judiciously. Focus the content of your newsletter on abbreviated blurbs that link to more in-depth content. If you rather make your emails self-contained, set the expectation with your reader. Don’t overdo it with links and calls-to-action. Offering more is likely to result in less response. My friends in the digital marketing agency business at Vertical Measures do a spectacular job of promoting various content types via a weekly email newsletter. The example above features an eBook, webinar, blog posts, and workshops. Customer stories (or case studies, as they are often called) are a powerful form of content that delivers the proof and credibility prospects value greatly. You want your customer success stories to be credible. Feature the actual customer. Use real names. Interview them and use quotes. Create a brief synopsis of your entire story to satisfy skimmers. Tell the story in a standard sequence: company profile; challenge; solution; results/benefits. Pull out highlights such as quotes and data points and create callouts that draw attention to them. Promote your customer success stories far and wide and be absolutely sure your sales team can put them in play. 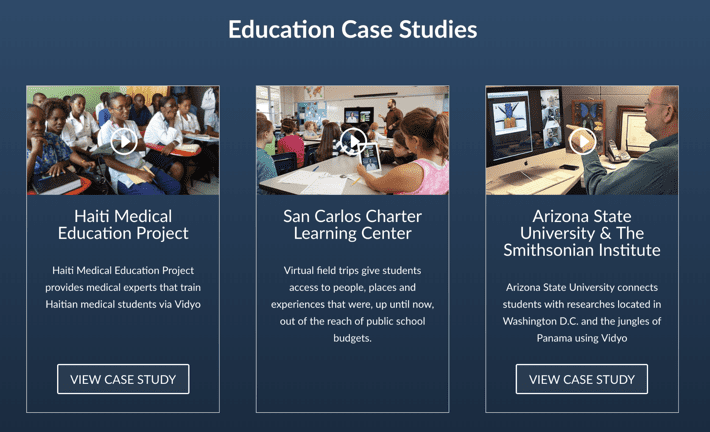 Vidyo, a company in the cloud video conferencing service business, creates many customer success stories and presents them as part of a series of industry-specific solutions pages. Contests, sweepstakes, or giveaways give brands highly effective mechanisms to reach prospects, generate interest, promote sharing, and gather user-generated content. Determine your goal (e.g. new subscribers, social engagement, sales, etc.) and plan your contest and its promotions accordingly. Like all forms of content, resist the temptation to aim your contest at everyone. Target specific demographics to attract potential customers and advocates. Offer relevant and interesting prizes. 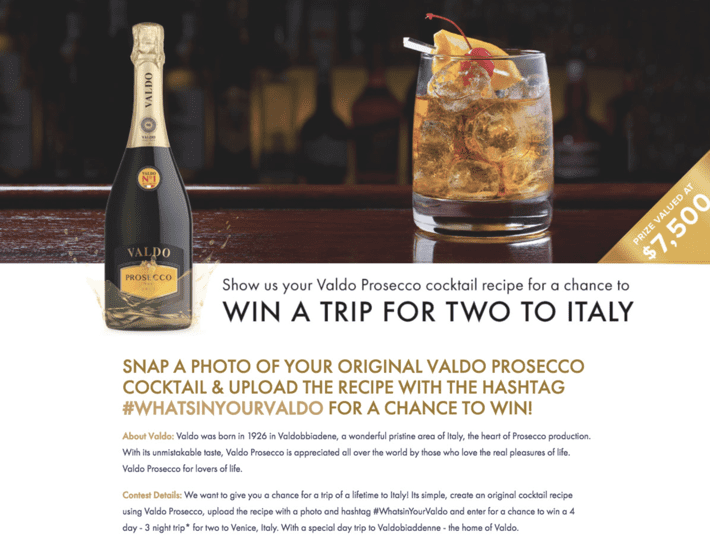 Create an incentive for sharing your contest via social media to amplify its reach. For instance, you could increase the chance of winning. Follow-up with everyone to nurture your leads—winners or not—with a special offer or something exciting. Intriguing contests can be used to engage prospects in nearly every product category and are often promoted via Facebook and Instagram. Quizzes and assessments can work wonders for both consumer and business-to-business brands. The brands that create them are able to gather useful customer insights, conduct research, gather contacts, and respond with helpful content and relevant offers. Define the outcomes in advance. Yes, you build quizzes in reverse. Create a series of results that delivers useful information and inspires your quiz-takers to share them. Write your questions in a fun and conversational tone aiming to gather meaningful information about the participant (which he or she probably would not offer via a form). Place an opt-in form between the quiz and the delivery of the results. This is how you’ll build an email list. Segment the results you collect and follow-up accordingly. An interesting lead magnet to be sure: relationship coach Laura Doyle offers a free self-assessment for evaluating your dating skills. 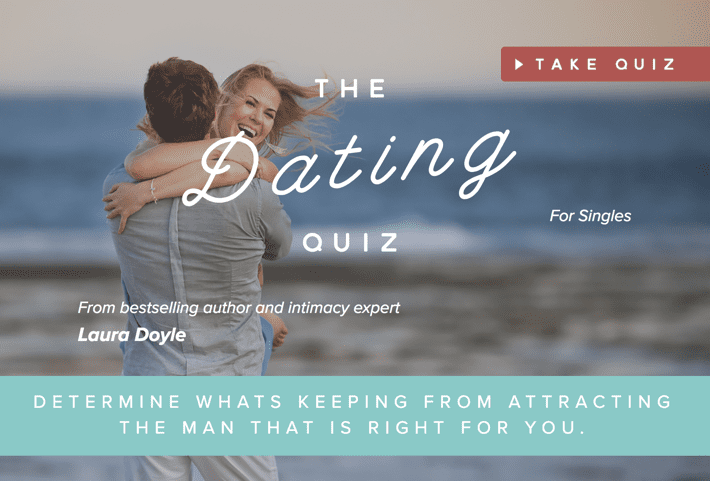 On the quiz’s landing page she tells visitors they will receive in-depth results that reveal what’s keeping them from attracting the relationship they dream of. A checklist is a series of actionable tasks that help the reader to implement a particular strategy. They are incredibly valuable lead magnets because they are so helpful to readers. Bloggers often offer them as bonuses (often called “content upgrades”). Brainstorm ideas to create a checklist that complements your brand, and solves a relevant problem for potential customers. Extract ideas from successful content published in other forms. For instance, this post could potentially become a magnetic checklist. Create a beautiful cover or front page that communicates quality and trust. Aim to make your checklist as simple and short as possible to appropriately guide the user to the intended outcome. Organize your checklist in a practical manner—by steps, categories, objectives, etc. Atop the homepage of Top Dog Social Media, my friend Melodie Dodaro, offers a 21-point checklist to succeed with social selling. A course or academy is a checklist on steroids. Your brand distributes a significant amount of advice in a sequence of lessons. Develop a course inline with your content marketing mission and brand it so as to position your company as a leader in its field. Explore the possibility of creating a course from existing content—or the other way around. Create an outline and build the lessons sequentially to be packaged as a course. Examine your media options. Is your curriculum best delivered as pages/posts, downloadable content, video, audio, quizzes, emails, or some combination? Whenever possible, provide feedback at key milestones in your course to help participants master the material. You’ll want graduates to advocate for your course. Consider creating a certification and badge offered to those who have completed and passed your course. 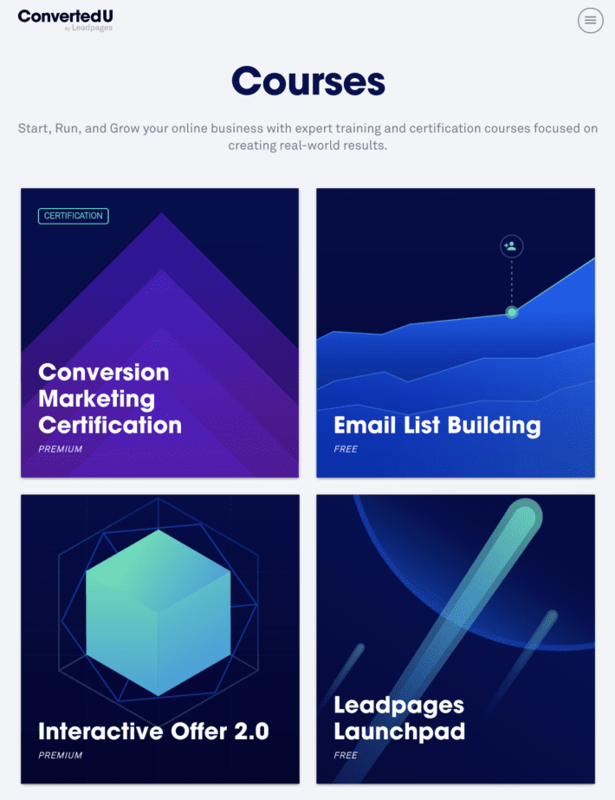 ConvertedU by Leadpages offers a “home for conversion marketing certification and education.” I clicked through to check out the free email list building course and found it offers 9 video and 12 PDFs. FAQs are usually web pages, but easily repurposed as guides, hubs, email courses, etc. Gather a list of questions from the people within your company that actually field them. Your internal sales, service and support people are obvious places to start. You might even ask prospects and customers for input. Keep them simple. Write your Q’s and A’s in plain language or the terms that resonate best with customers. Make the answers brief. Some questions, of course, call for in-depth answers. Instead of delivering answers that are several hundred words, offer links to additional and relevant content. Create an index, table of contents, jump links, or offer an online search mechanism enabling users to quickly find the answers they seek. Use screenshots, photos, diagrams, infographics, video or some form of visual content to get your message across as effectively as possible. FAQs can be web pages, posts, eBooks, or what have you. I love this approach form BigCommerce. 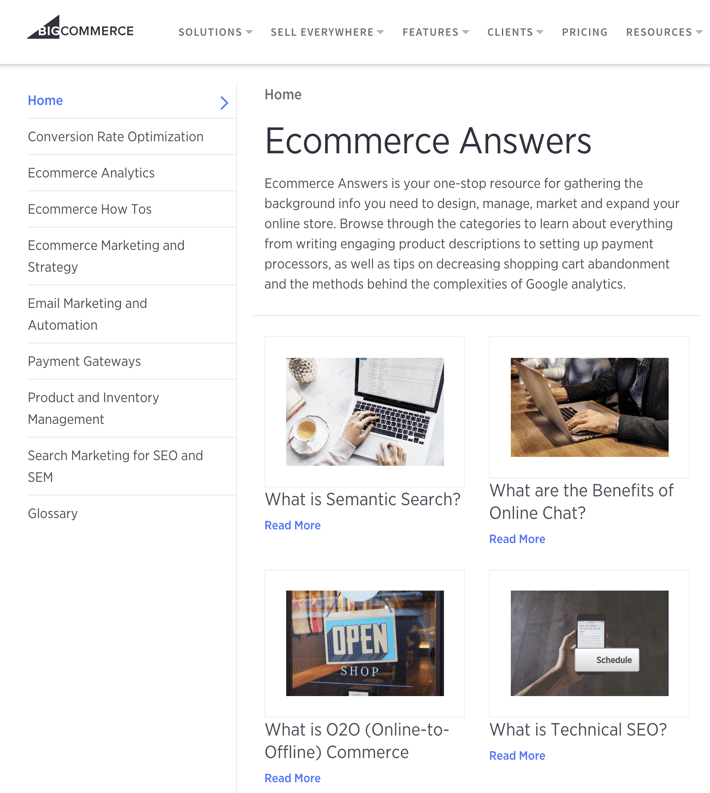 They’ve dialed the FAQ idea up to 11 by creating a micro-site featuring a glossary and collection of FAQs for eight categories related to their industry. Comparisons are a fitting and useful form of content for latter stages of the sales funnels as they can deliver vital information prospective buyers seek to make informed decisions. 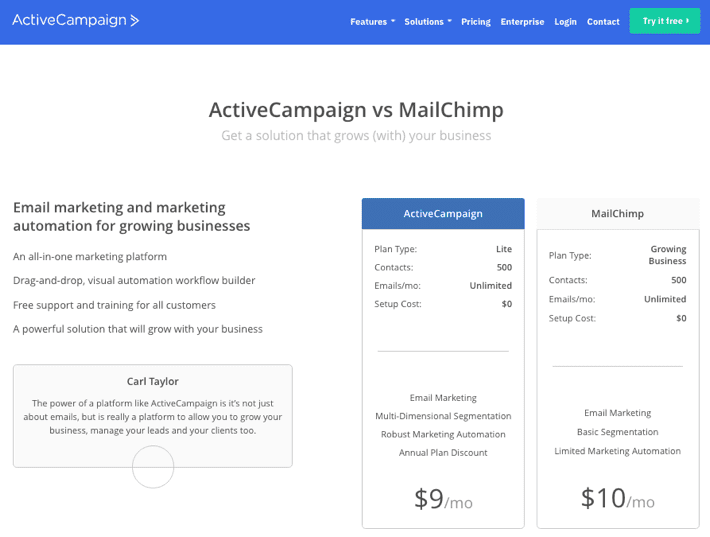 Compare your products and services to each other and/or your competitors. People constantly search for comparison content (e.g. X vs. Y). If your comparison is a sales tool (e.g. you’re comparing models or tiers), consider highlighting preferred choices such as “best value” or “most popular.” A good deal of buyers will follow the crowd. Comparisons can be presented in a variety of forms including blog posts, tables, infographics, slides, guides and more. Obviously, ecommerce sites often strive to make comparisons an interactive tool to give the shopper the precise data they seek. Compare the points buyers really want to know, including, of course, price. Be objective. Comparison content will fail to be credible if you pour on the sales speak. The social media post is a big one and a small one. It’s small because social media posts generally have ultra-short half-lives. Big because paid promotion should be part of your content amplification plan to connect with customers online—especially millennials. Think visual. Images and videos obviously standout in a stream of text. Be provocative. If you’re sharing and linking to content (yours or otherwise), find an interesting nugget to extract from it or add some form of commentary. In other words, don’t just post headlines and links every time. Ditch the pitch. Hard-sell social media posts deflect interest and threaten your good standing. Use hashtags, @’s and whatever tools the network provides to help your content get discovered by searchers, influencers, peers, etc. Invite conversation. Whether you’re promoting or curating content, your posts will often be more engaging when they prompt a dialog. Hey, that’s me. (Why not?) I followed Andy’s advice to try posting brief videos on LinkedIn. The strategy helped increase engagement for Orbit Media and me too. I believe the more you experiment on social media—with channels, formats and content—the more you learn and grow. I’m done, but I’m listening. Feel free to expand in any way you like, add tips or ask questions. Barry Feldman of Feldman Creative is a digital marketing consultant, creative director and copywriter. 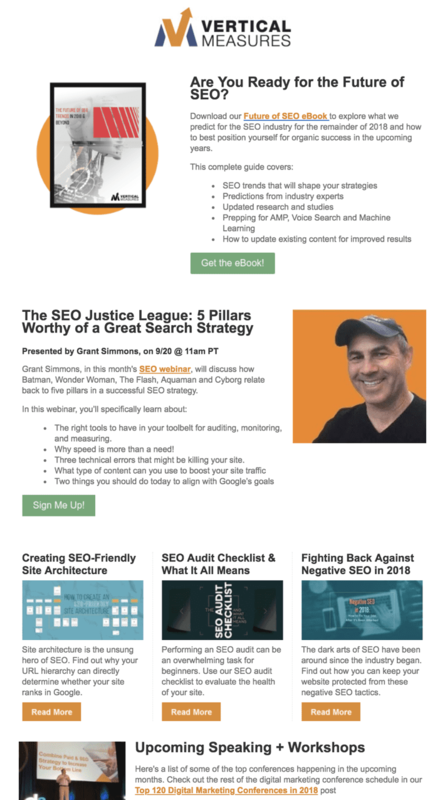 Barry is the author of SEO Simplified for Short Attention Spans, has a Podcast: Content Jam and has recently published the free resource, Content Marketing Roadmap. You can find him on Twitter and LinkedIn. Want more articles from Barry? Read them all here. Thanks for the great tips! Mastering the social media post could be a whole blog post of its own with a tip for each social media channel. You’re welcome. And yes, tips for each social media channel could be a great post. The bigger question is – how do you scale? Mr. Parrot, I’d attempt an answer if I understood. How do you scale what? In my opinion, the best type of content today is media content. Nowadays people mostly prefer to watch a video, listen to a podcast or briefly check out an infographic. Personally, I try to create media content for my blog on a regular basis. It is also more convenient to share some videos or infographic in social media. Infographics for me is the best way to provide content. It is vivid, simple and beautiful. Most of the problems I had with podcasts. My decision was the professional essay writing service, but you should definitely read more about such resources before choosing the right one. The same webinars were much easier for me, while podcasts are associated with audio books where errors look unforgivable. E-mail marketing remains neutral to me even though it is one of the most common and popular. I can only say that in this case the rule about brevity and conciseness is more relevant than ever.